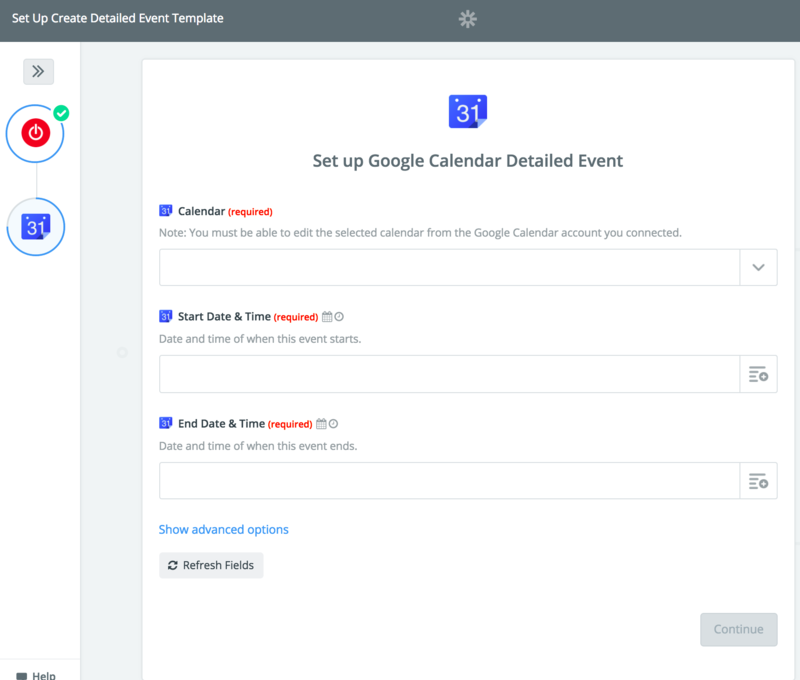 If you want to create new Google Calendar events from Toggl Time Entries you can do that by using a task automation tool called Zapier. To create new Google Calendar event from Toggl time entry use this Zap. To connect your Toggl account to Zapier, you will need an active Toggl account. To learn more about linking your Toggl account with Zapier, check here. To link your Google Calendar to Toggl, you must have an active account with Google, and a calendar that you wish to use with Toggl. To learn more about getting started with Google Calendar on Zapier, go here. Click here to use the Zap. Choose your Toggl account from the list of accounts, or connect a new account. Choose your Google Calendar from the list of accounts, or connect a new account. Choose the Calendar you wish to add time entries to. Select Toggl fields for the Start Date & Time and End Date & Time fields. Click Save + Finish. Now test the Zap to make sure it works. Once you’re satisfied with the results, your new Toggl time entries will be added as a Google Calendar event. If you ever want to change this Toggl and Google Calendar integration, just go to your Zapier dashboard and tweak anything you’d like. You can also check out all that’s possible with Toggl on Zapier, and other ways to connect Toggl and Google Calendar.